You’ve no doubt heard that sugar has been the number one culprit behind weight gain. In fact, over the last few years, sugar has all but been demonized as the terrible-for-you ingredient that is as addictive as cocaine and will lead to heart disease and diabetes. And while that’s all a bit of an exaggeration, there’s no denying that sugar, especially added sugar found in packaged food and sweets, isn’t great for your health. OK, got it: keep the sugar down for overall health. But what’s the sugar threshold for weight loss? Turns out, there’s not a one-size-fits-all number. 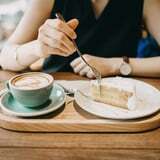 “There isn’t a specific value for how many grams of sugar you should eat for weight loss,” Ysabel Montemayor, RD, lead dietitian at Fresh n’ Lean, told POPSUGAR “Many foods contain sugar, such as breads, grains, beverages, sweets, dairy products, fruits, and even vegetables.” She added that the Dietary Guidelines for Americans recommend, like the WHO, no more than 10 percent of calories come from added sugar. So for a 2,000-calorie-a-day diet, this would be around 50 grams of added sugar. Plus carbs, which contain sugar, should constitute 45-65 percent of your diet, according to the Dietary Guidelines for Americans (about 225-325 grams of total carbs). Instead of focusing on a specific gram amount, Ysabel recommends choosing sugar-containing foods that are fiber-rich, such as whole grains, fruits, and vegetables, which can help you lose weight because “they are absorbed more slowly into the body and can keep you fuller longer.” Refined sugar and sweets, on the other hand, are digested quickly and cause a spike in blood sugar, leading to an inevitable crash, which can mess with your insulin levels and cause weight gain. While Ysabel recommended to limit added sugars and refined carbs, Ana said she tells her clients to choose packaged foods that have less than 10 grams of sugar on the label. 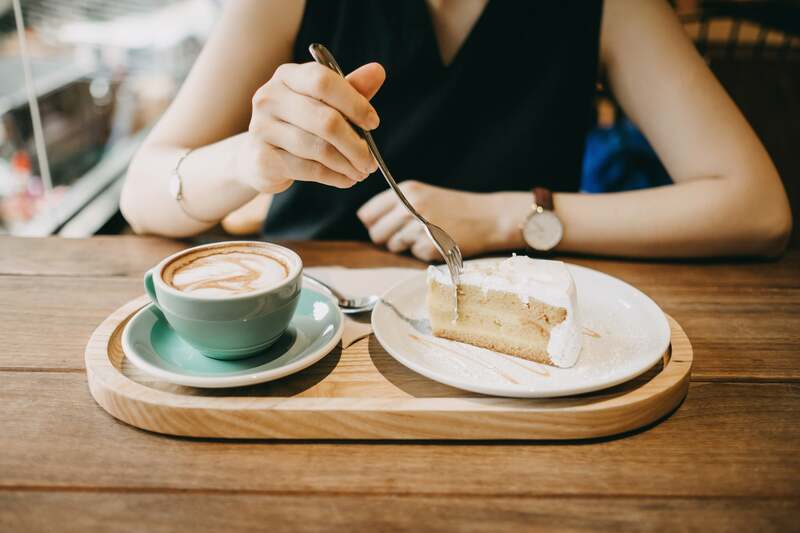 Overall, the amount of total sugar you should eat in a day should be determined by your doctor or registered dietitian, especially if you’re looking to lose weight. Ysabel added that certain people, such as those with Type 1 or Type 2 diabetes, may have more specific needs, which should be determined by their healthcare provider. In general, it’s best to stick to the AHA guidelines, which is not only good for weight loss but also for overall health: 25 grams or less of added sugar a day. If you need help cutting back, check out these handy steps.